Elisabeth’s mantra is to bring success to the organizations and people around her, both as a patent attorney protecting valuable intellectual property rights and as an advocate for important causes in her community. As a patent lawyer, Elisabeth invests the time needed to truly understand her clients’ needs so that their patent strategies align with their overall business goals. Her process starts with a deep dive into her clients’ business, competition and marketplace, and by understanding their plans for future growth. Clients then count on her to scrutinize the latest developments in patent law to deliver solid patents that reach beyond expectations. Elisabeth secures intellectual property protection for her clients through all stages of patent preparation and prosecution. In particular, she has successfully fought for patent grants for her clients via appeals and oral hearings before the Patent Trial and Appeal Board. She is also the Firm’s go-to resource for Patent Term Adjustment (PTA), and has successfully petitioned for thousands of days of additional PTA. Develops intellectual property portfolios and strategies for clients in the energy sector. Representative technologies include oil drilling, oil refining processes, methanol to gasoline processes, and biofuel production. Prepares and prosecutes patent applications for numerous clients in the chemical and materials science fields. Innovations are directed to polymer chemistry, organometallic chemistry, gas separation processes, catalyst design, lubricant compositions, semiconductor devices, and vapor deposition methods, for example. Counsels clients in the pharmaceutical industry on best strategies for securing patent registrations for therapeutic methods, small molecule chemistry, pharmaceutical formulations, as well as applying for patent term extensions (PTE). Serves as U.S. counsel for a major German materials company, working with international partner firms to secure patent protection in the United States and abroad. 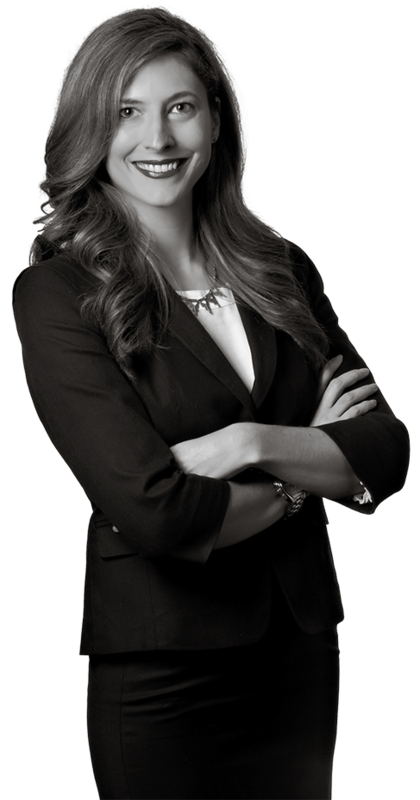 Prior to joining Harness Dickey, Elisabeth worked as an associate in the intellectual property group of a national law firm. In that position, she prepared and prosecuted patent applications in the U.S. and abroad, assisted in the preparation of legal opinions, as well as worked on a variety of litigation claims. Outside of the office, Elisabeth is passionate about mentoring young women in the engineering program at her alma mater, Washington University in St. Louis, where she helps students develop professional skills, network with other professionals in their field, and land distinguished and lucrative careers. She also participates in events hosted by the United States Patent and Trademark Office designed to teach Girl Scout troops about the basics of intellectual property. Whether she is encouraging young women to get involved in STEM fields or teaching them about patent law, Elisabeth is always thrilled to help the next generation of women succeed. Elisabeth is also committed to promoting success and prosperity in downtown St. Louis. She is currently a Board Member and the Secretary of the St. Louis Downtown Children’s Center, and is a proud member of the Saint Louis Art Museum and the Saint Louis Zoo. As a transplant to the city, she has become a zealous champion for growth in the region and for the success of its people.